As a member of the Cooperative, you are not just a customer, you are an owner.  The Energy Cooperative is operated not for the benefit of shareholders or private owners, but for the benefit of our members. Our members are more than just account numbers; they are neighbors. The Energy Cooperative offers a personalized member service that is often missing from larger utilities. As you consider moving from another utility to The Energy Cooperative (TEC), we want you to have the information you need. Contact us today to apply for service. Since 1936, The Energy Cooperative (TEC) has delivered safe, reliable, and affordable utility services and has played an important role in the economic and civic life of Central Ohio. Membership is available to all persons within the service area of the Cooperative on a nondiscriminatory basis as set forth in the bylaws of the Cooperative. You have a voice…with The Energy Cooperative. One of the best things about being a member of a non-profit cooperative is that when you speak, we listen. As a member-owner, our goal is to provide you with safe, reliable energy at a reasonable cost. Contact our member service department at (800) 255-6815 during regular business hours to apply for new service, or transfer your existing service.